The European 2020 and 2030 targets for renewable energy, greenhouse gas emission and energy efficiency require important changes in the energy system. In particular, there is a growing need for more flexibility to ensure the efficient and reliable operation of the electricity system. Enhanced synergies between different energy carriers appear now as one of the possible means to provide flexibility to the electricity system but also to drive efficiency and business innovation in the energy sector as a whole. MAGNITUDE aims to develop business and market mechanisms as well as supporting coordination tools to provide flexibility to the European electricity system, by increasing and optimising synergies between electricity, gas and heat systems. To ensure the validity of developed results, MAGNITUDE is built upon 7 real life case studies of multi energy systems, located in different European countries, with different regulatory and geopolitical environments and with different technological development levels, including key “cross-sector” technologies. MAGNITUDE results will define policy strategies and recommendations in a pan-European perspective.Achievements will be spread among stakeholders to raise awareness and foster higher collaboration among the electricity, heating and gas sectors to achieve the common goal of a less carbon intensive, yet reliable energy system. The goal of MAGNITUDE is to design and develop business and market mechanisms as well as supporting coordination tools to enable an improved level of flexibility for the European electricity system, by increasing and optimizing synergies among electricity, gas and heat systems. OB1 Enable: Provide tools and models to enable the mobilisation of flexibility for the electricity system from the integration of multi energy systems’ operation. OB2 Exploit: Design and develop business and market mechanisms, enabling the full potential value of flexibility provided by assets of various technologies, using increased coordination between networks, towards the electricity system to be identified. OB3 Validate: Validate its technical flexibility assessments and the proposed market and business mechanisms based on cross country case studies. OB4 Maximise the Impact: Optimise external impact, addressing its results towards electricity, heating and gas related stakeholder groups. 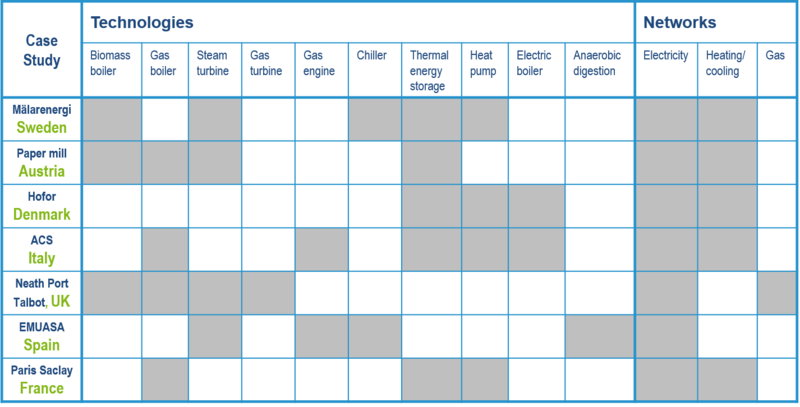 Study the real flexibility options that the identified technologies and systems can provide to the electricity sector. Propose improved market designs for synergies maximisation that will be modelled in a market simulation platform for the project case study countries. Exploit the achieved results by developing policy strategy and recommendations – including technology, market, business models, and regulation – and related considerations for feasibly increasing synergies between networks in representative EU countries. for a reliable impact assessment of the project (OB 4). The case studies represent a complete spectrum of interconnection technologies found today and entail most representative system configurations in Europe’s heating and cooling sectors, as well as important and representative energy consumption/production facilities among electricity, heating and gas networks.